Free Utility for use with 4POSRENTAL for live website inventory. Requires Windows XP or later. Set the inventory snapshot frequency (4RWeb configuration, Upload interval). Point a browser at that web page on your site (or if on a local network, at the filmstock.htm page in the 4POSRENTAL folder). 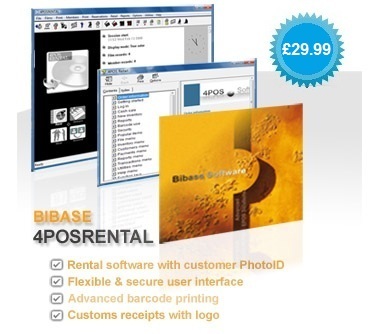 The program requires an existing installation of 4POSRENTAL (full or trial). It has been validated with later versions of Internet Explorer and Firefox. What protocols and webservers are required? It uses standard FTP to upload the data. No web server side implementation is required. Yes, just point the browser at the filmstock.htm in the 4POSRENTAL folder. The web browser cache may need to be cleared.